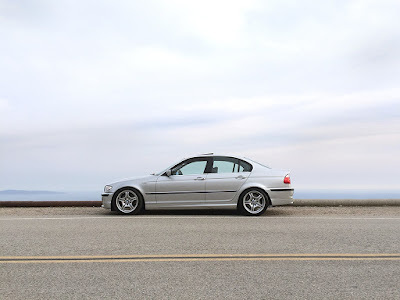 This blog post is for you if you just purchased your E46 3-Series and/or have more than 75,000 miles on your current cooling system on your E46 3-Series BMW. 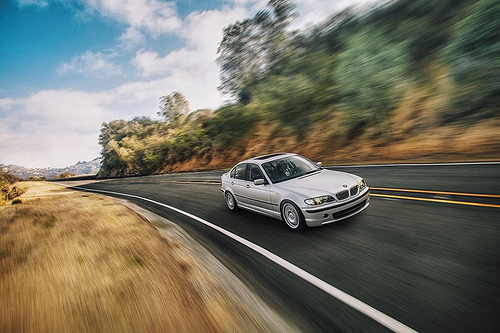 The BMW E46 3-Series is among certain BMW models that are known to to suffer from cooling-related failures, often times catastrophic due to warping the engine block. The 6-cylinder in your E46 is a straight six design featuring an aluminum head and block. This design has inherent benefits for which BMW engines are known for. However this design also has inherent drawbacks. When overheated even for seconds, the long aluminum head on a BMW straight six is particularly vulnerable to warping. The fix is a risky and costly top end engine rebuild or a complete engine replacement. The cost is $3,500 and up. 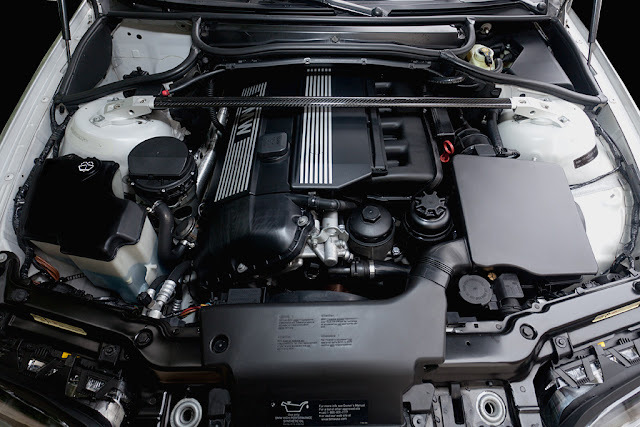 When a BMW 3-Series overheats, the result is usually a blown headgasket causing coolant consumption, coolant/oil mixing, or an overpressure situation in the cooling system. Either way, the car will not run long during any of these three conditions. This happens to so many people on a daily basis but can easily be prevented with $500-750 worth of parts every 75,000 miles. As such, it is absolutely imperative that you maintain your BMW E36/E46 3-Series cooling system. If your temperature gauge does go into the red zone, shut off the car immediately and have it towed. Appreciate your support over the years and using my links--I earn a small amount when you use them and it doesn't affect you at all. Much love! Automatic Transmission Cooler O-Rings. (Highly recommended as the old ones tend to not seal the same) Order two of these for the transmission cooler. The total cost for manual cars is around $500. For automatic cars, around $750 which includes the fan blade/clutch. How, why, and when do the failures typically occur? The number one cause of cooling failure for the E46 3-Series is the expansion tank. This tank has a 100% failure rate and fails on every single E46, usually around or before 90,000 miles. This can be installed in your driveway in 45 minutes or less using simple hand tools. If you can change a light bulb, you can change your expansion tank. Some fail sooner than that while some last longer. These tanks fail because of heat cycling of the plastic material they are made of. Typically the failure will make itself known when you see a yellow low coolant light on your gauge cluster. You will open the hood and the tank will look fine but what you don't see is the hairline crack that formed down the side of it, usually invisible to the naked eye. This crack expands under pressure and water spews out either while driving or when the car is parked. Come back to your E46 and there's a puddle under it? Yep that's your expansion take 9/10 times. If the water/coolant level becomes low enough, there will not be enough coolant for the water pump to circulate. No circulation means no flow through the engine/radiator. No flow through the radiator/engine means overheating and a $5,000 engine replacement and lost down time, towing fees, rental car fees, headaches, etc. Again, buy here. DO NOT BUY THIS AFTERMARKET IF OU CAN AVOID IT. GENUINE BMW ONLY. Genuine BMW is maybe $20 more but it's worth it. If you do not buy Genuine BMW, you may buy OEM which as of time of writing, is the brand CoolXpert. If you just need the expansion tank cap, buy here. It's good to keep a spare cap or replace at 25,000 mile intervals because the seals on the cap are known to harden and lose their ability to seal, even between tank replacements. They're around $12 -- good investment. Our M5X and S54 engines have three belt-driven tensioner pulleys. The role of the tensioner is either to provide belt-spacing/traction and to quell crankshaft vibrations due to irregular accelerations from the crankshaft. This is done to prolong the life of belt-driven accessories and likely to quiet engine operation. The main belt drives the water pump, alternator, and power steering pump. This belt is guided by pulleys. These pulleys contain ball bearings and grease. After around 60k miles, this grease dries up and the pulleys are vulnerable to failure. The belts are then thrown off once this pulley fails and you now have no cooling system, no power steering, and no charging system.Your dashboard will light up like a christmas tree and your temp needle will fly into the red zone. Belts. Obviously the belts themselves can fail causing an otherwise brand new cooling system to not operate. Replace every 35k miles. You can find it here. This belt system is no joke. E46s are prone to pulley failure. I've seen it time and time again. 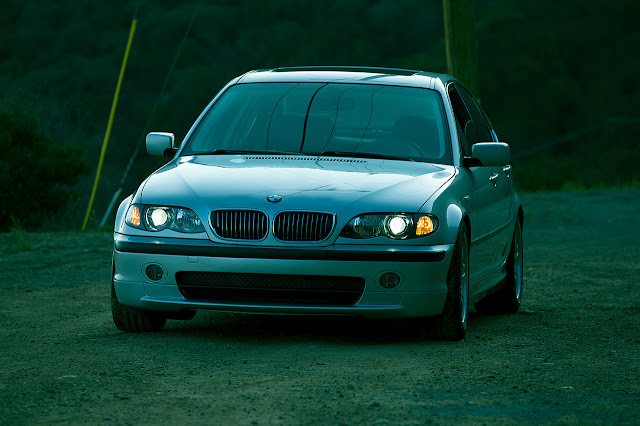 Is your E46 squealing and whistling? Replace your pulleys. They're cheap and very easy to replace. The water pump is another potential failure point but admittedly not as common. It can fail in at least three ways. 1) The impellar itself will break and cannot continue to push water. 2) The seal may leak and, 3) The bearings will fail causing the shaft to wobble and break which will in turn throw the belts off effectively rendering your cooling system useless. You might hear nightmares of water pumps with plastic impellars, but don't pay attention to this. Replace your water pump due to age and/or mileage, not because what its made out of. The latest BMW water pump design (at least 10-15 years old) features a plastic composite impellar. BMW did once try metal impellars but quickly phased those out due to premature balancing and bearing failures. Design is more important than physical materials. Some people insist on installing the Stewart water pump. Some recent reports suggest that these are low-volume production items and may fail prematurely. Others report success. It's up to you. If you insist on the Stewart water pump, it can be found here. Generally fails in the open position leading to a "cold" temperature needle on your gauge not allowing the car to warm up, this item can leak as well or worse yet, fail closed or partially closed. It's a good idea to replace it. Thermostat can be found here. The E46 radiator is typically robust, but the end tank seals are rubber and harden over time. You'll notice staining or slight weeping. The radiator has thin passages which can become clogged with sediments as well and may cause water to flow slowly to where it needs to go. This may cause problems in traffic or while stopped. The plastic end tanks may also fail but this isn't that common of a failure mode for this part. They are cheap enough to replace anyway and is one of the most vital cooling parts--arguably the most important one. Don't skimp on this. Manual Trans unit here and Auto Trans unit here. (for automatic transmission equipped vehicles). Another failure point. If the blade chips or deteriorates, there goes its balance and will explode in your engine bay. There goes your belts, hoses, hood and whatever else it feels like taking out. The fan clutch is typically robust, but is good practice to replace it anyway. It controls the speed of the fan. You don't want it spinning too slowly or too quickly. A fan that cannot blow sufficient air over the radiator will fail to cool the water/coolant and thus the car will overheat. This typically happens when the car is stopped in traffic, say at a red light. BONUS - WHY IS YOUR E46 OVERHEATING? 1) Cooling system must be filled to capacity. That is to say the system must have no leaks and no air bubbles or pockets in it. Car must have correct amount of coolant/water. 2) Water must be able to be driven without any unnatural hindrance. That is to say the water pump must be able to push water throughout the system without added blockages or weakened drive force due to a damaged water pump or slipping/missing belt. The thermostat should also be opening and closing as designed. 3) Air must pass over the radiator in sufficient quantity at the correct moment. That is to say your mechanical and/or electrical-driven fans must be operating correctly when triggered by properly working sensors. If your car is overheating at idle (say in traffic) and you are sure that 1) you have adequate water in the system and 2) said water is air pocket/bubble free, then air is failing to blow over the radiator. You need to investigate why. Either the fan(s) aren't operating properly (not blowing air or enough air) or your fan switch isn't telling the fan to turn on. (or both) Or you have debris between your radiator and condenser. Time to break out the a toothbrush and garden hose. Remember you must have proper coolant/water flow and proper air flow!! You need both. This step is extremely important. No amount of brand new cooling parts in the world will work if you do not bleed the system properly. The point of bleeding is to remove air bubbles/pockets. The cooling system is most efficient when it is circulating only fluid. Heat cannot radiate away from the surface of the radiator if there's air pockets. You are essentially reducing the size of your radiator significantly if you have air pockets running through it. CAUTION: ONLY DO THIS WHEN CAR IS COOL AND ENGINE IS OFF. At no point should the engine be turned on. 4) Begin to fill your expansion tank with ideally a 50/50 mix of Genuine BMW coolant and distilled water (do not use anything else--no reason to. The proper stuff is cheap) The system might take a while to swallow the water. Massage the hoses if you think it will help. Keep pouring. Water will begin to pour out of the bleed screw hole with air bubbles. The point is to keep filling and filling until the bubbles are gone. This may take a while--be patient. 5) Once you are satisfied that a continual stream of bubble-free water is emerging from the bleed hole and that your cooling system is adequately filled, go ahead and replace the bleed screw (do not overtighten). The expansion tank will be full to the top at this point so you'll need to siphon off any excess so that the appropriate tank level can be achieved. Congratulations! Your E46 is now ready for another 75k miles of trouble-free driving. Never will you have to worry about being stranded with your wife, girlfriend, pets or kids in the car. Never will you have to worry about posting a thread asking why your car is overheating or why your engine is stained with coolant. Never again will you have to worry. (at least for another 75k miles) :thumbsup: The mileage is just a guide. Your results may vary. Appreciate your support by using my links. I earn a small portion when you use them and it does not affect your price at all.